Recognized for more than 20 years as one of the world’s leading authorities on customer-focused business strategies, Don Peppers is an acclaimed author and a founding partner of Peppers & Rogers Group, the world’s premier customer-centric management consulting firm. The Times of London has listed Don among their „Top 50 Business Brains,” Accenture has included him in its global list of the „Top 100 Business Intellectuals,” and the U.K.’s Chartered Institute for Marketing put him on its list of the „50 most influential thinkers in marketing and business today.” In 2013, Don Peppers, along with partner, Martha Rogers, were inducted into the Direct Marketing Association Hall of Fame. And, in 2015, Satmetrix listed Don Peppers and Martha Rogers #1 on their list of Top 25 Customer Experience Leaders. -Using scientific reasoning to make better business decisions, based on data. With co-author Martha Rogers, Ph.D., Peppers has produced a legacy of international best-sellers collectively selling well over a million copies in 18 languages. Peppers’ and Rogers’ newest book, their ninth together, is Extreme Trust: Honesty as a Competitive Advantage (Penguin 2012). It argues that social networks and rapidly increasing transparency have combined to raise customer expectations regarding the trustworthiness of the companies and organizations they deal with. Peppers and Rogers are often credited with having launched the CRM revolution with their very first book, The One to One Future: Building Relationships One Customer at a Time (1993). Inc. Magazine’s managing editor called this book „one of the two or three most important business books ever written,” while Business Week called it the „bible of the new marketing.” And in 2011, the authors released a second, updated edition of their widely used CRM textbook for university use in graduate level courses, Managing Customer Relationships: A Strategic Perspective. 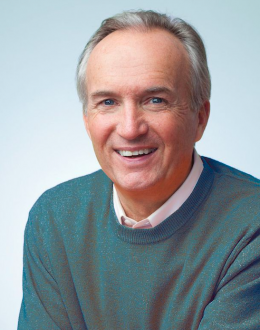 Prior to founding Peppers & Rogers Group, Don served as the CEO of a top-20 direct marketing agency (Perkins/Butler Direct Marketing, a division of Chiat/Day) and his book Life’s a Pitch: Then You Buy (1995) chronicles his exploits as a celebrated new-business rainmaker in the advertising industry. Before Madison Avenue, he worked as an economist in the oil industry, and as the director of accounting for a regional airline. He holds a Bachelor’s Degree in astronautical engineering from the U.S. Air Force Academy, and a Master’s Degree in public affairs from Princeton University’s Woodrow Wilson School. He is a competitive runner and a very happily married father of five.